The 2016 election results have left many people fearful that certain hard-fought rights may be in peril over the next four years. The American Civil Liberties Union is one of our first lines of defense when it comes to protecting our individual liberties — so can you volunteer at the ACLU? Looking directly into the dark maw of a Republican-controlled House and Senate, helmed by an unpredictable head of state with authoritarian leanings, it’s no small wonder that many people are terrified our country will move starkly backwards, asking now how they can get involved to stop that from happening. Founded in 1920, this nonpartisan, non-profit organization has spent nearly 100 years providing assistance with legal matters where civil liberties are considered to be in danger. 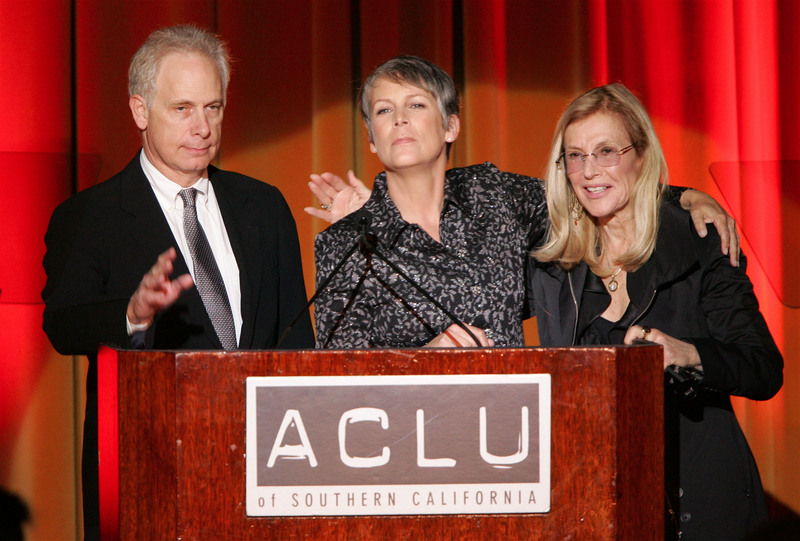 The ACLU has had a hand in protecting freedom of speech, separation of church and state, and individual privacy, as well as fighting against discrimination and police misconduct. Recently, the organization tackled marriage equality, protecting reproductive health and abortion rights, and fights against racially-biased policing, as well as discrimination against women, minorities, and the LGBTQ community. I can't stress how important it is that we support them right now. The ACLU has stated that they will continue to work diligently to maintain these constitutional protections in the face of ultra rightwing appointments and terrifying campaign promises made by the president-elect. "These proposals are not simply un-American and wrong-headed, they are unlawful and unconstitutional," wrote ACLU Executive Director Anthony D. Romero in a statement following the election. "They violate the First, Fourth, Fifth, Eighth, and 14th Amendments. If you do not reverse course and instead endeavor to make these campaign promises a reality, you will have to contend with the full firepower of the ACLU at every step." Makes you feel a little better, huh? A majority of the organization's funding comes from grants and contributions, including those of their over 458,000 card-carrying members. To become a member of the ACLU, simply visit their Action site, where you will be asked to fill out a form with your name, email, and address, as well as a one-time or monthly donation (there is no minimum amount). Once you contribute, your membership card will be sent via the mail. You can also subscribe to weekly alerts from the ACLU and learn more about important issues. Visit their "Action Station" to view constitutional battles currently being fought, and add your name to open letters and petitions to government officials. The ACLU has affiliate branches in all 50 states, so volunteering is on a local basis. To learn more about available volunteering opportunities find the affiliate nearest you, and go to their website. There will be instructions on how to contact the chapter office and apply to become a volunteer or student intern (usually via email and phone). Those in the legal field can offer their services pro-bono. Attorneys who volunteer their time work with the ACLU's Legal Committee where they may help screen and evaluate requests for assistance, or aid with litigation (though needs change state by state). Learn more about employment opportunities at the ACLU here. So if you're worried about the issues, there are ways to get involved and fight back! Plus, did I mention you get a cool card? I mean, it's not a woman card, but it's still pretty awesome.